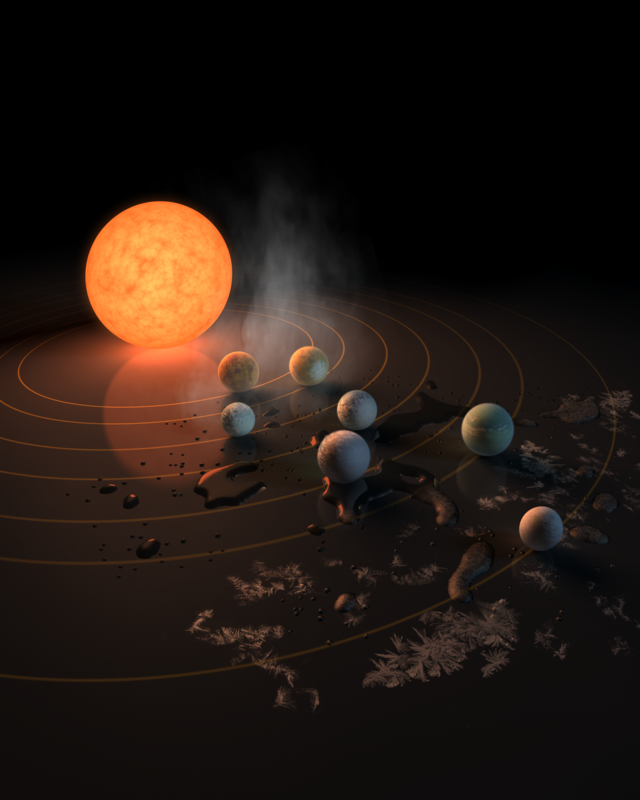 Scientists working with telescopes at the European Southern Observatory and NASA announced a remarkable new discovery: An entire system of Earth-sized planets. If that’s not enough, the team asserts that the density measurements of the planets indicates that the six innermost are Earth-like rocky worlds. And that’s just the beginning. 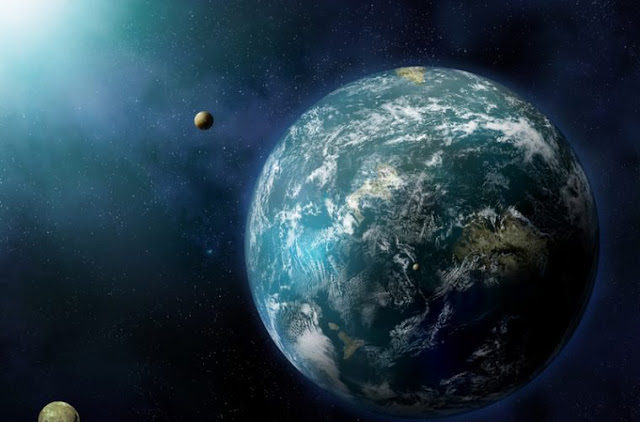 The other planets are less likely to host oceans of water, but the team states that liquid water is still a possibility on each of these worlds.